I cannot believe it's almost 2016. I also cannot believe that Christmas is over and there still hasn't been snow! But anyways, I had a great Christmas with my family and I love this time of year because it really is all about spending time with the family and appreciating each other. But also, I love receiving and giving presents out because it's always nice knowing that you can make someone happy with a gift. 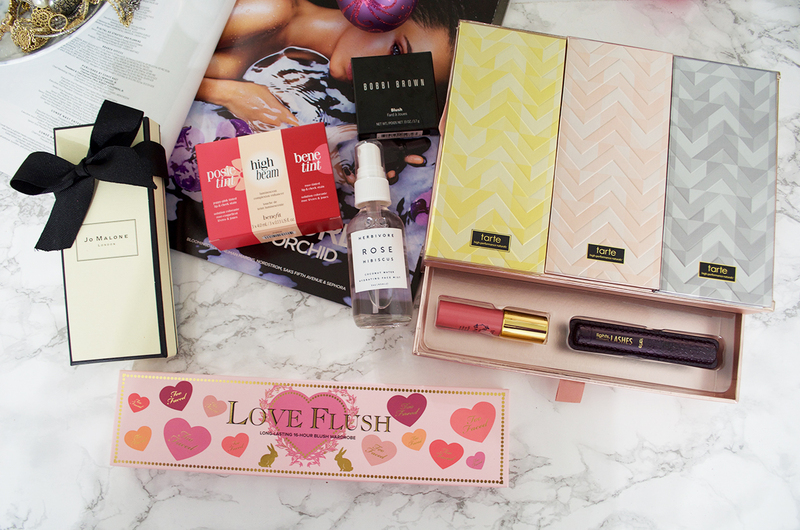 I got other things for Christmas this year like books and clothes but I decided to only show the beauty products I got. This Jo Malone Blue Agave & Cacao Cologne has been a fragrance I've been wanting since forever. I've only smelt it in stores once to know that I needed it, so I was really happy to find out that I got this. I like Benefit products and for the longest time I wanted to try the high beam and bene tint but I couldn't find myself buying the full size. When I saw this Feelin' Cheeky set at Ulta I had to buy it for myself. I already had posie tint in a travel size bottle and I didn't use that much because the color just wasn't for me. But I can't wait to try the other two. 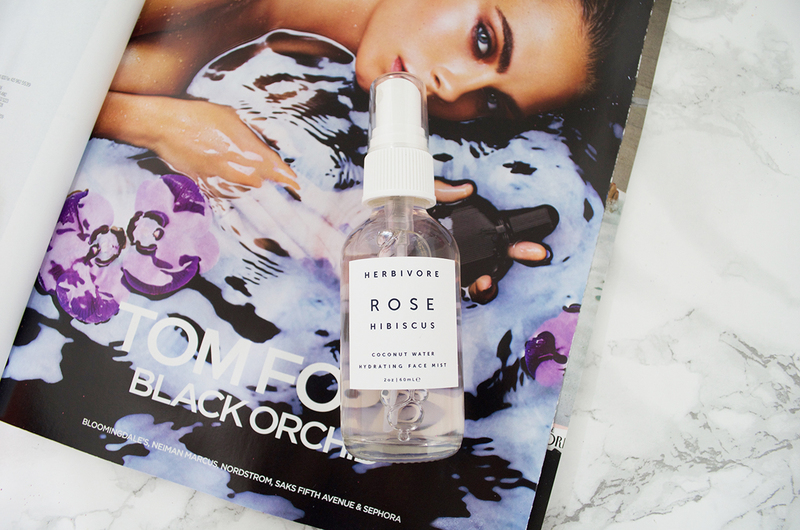 I've been needing a new toner for a while and on Sephora's website I read in the reviews that they use this Herbivore Rose Hibiscus Coconut Water Hydrating Face Mist as a setting spray as well. I also saw that Kelsey from beautybykelsey used this face mist since it was featured on her blog and instagram a few times so I asked her about it and she loved it too. Since that many people were loving it I may have added it to my wish list. Shopping for me is the hardest because everyone knows I like makeup but I'm also somewhat picky about it. 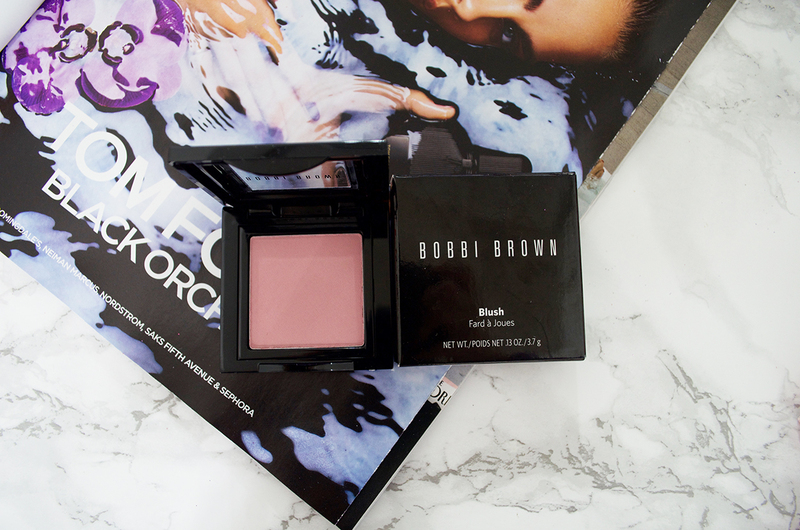 I was at the CCO with my sister and I couldn't stop looking at this Bobbi Brown Blush in Desert Rose so she bought it for me since she didn't know what else to get me since she thinks I own every blush color there is (I wish). This is another present to myself, whenever I went to Ulta I couldn't stop looking at this. 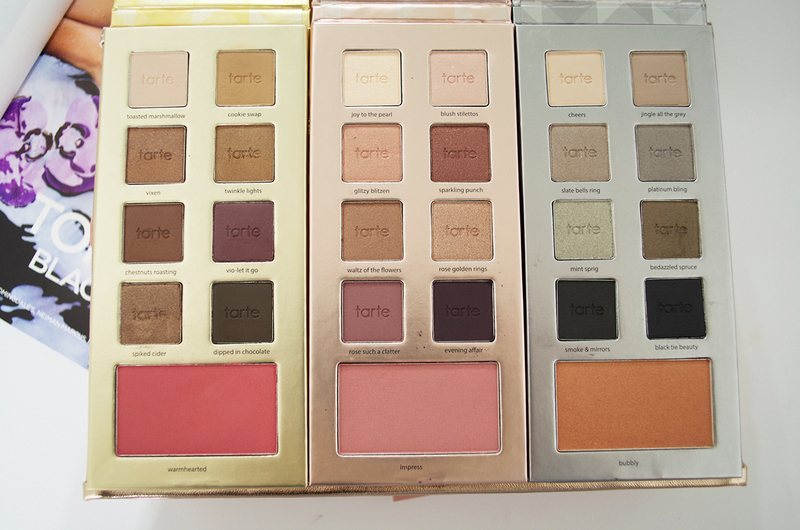 All the shades in this Tarte Greatest Glitz Collector's Set & Portable Sets looks amazing. I know that I will be using the gold and pink palettes the most though. I mentioned to my mom that this palette was really cute and when I saw this I was really happy. 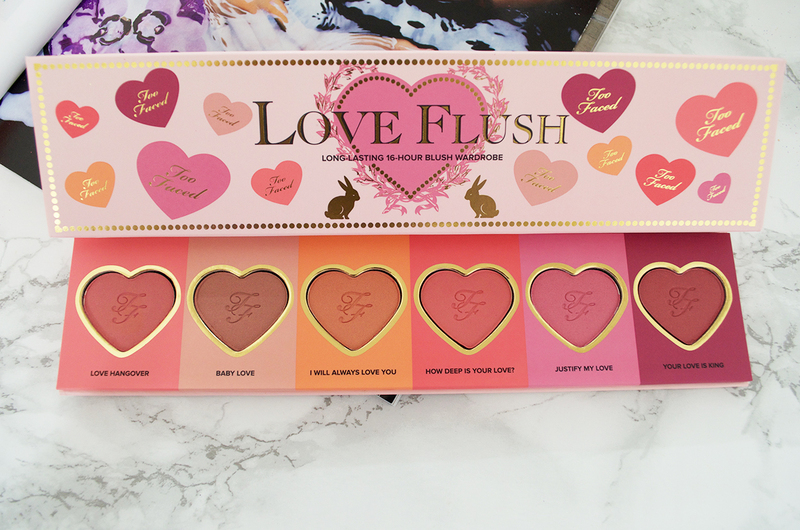 I don't own any of the Too Faced blushes so when I got the Love Flush Blush Long Lasting 16-Hour Blush Wardrobe I was really excited to use it all. What did you get for Christmas this year? And I hope you all have a Happy New Year!